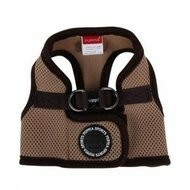 An extra soft adjustable dog harness, done in beige. 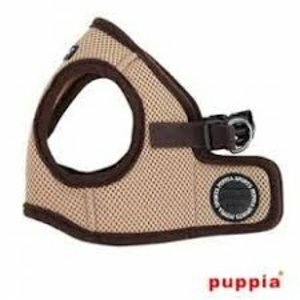 This harness is available in many sizes. This practical dog harness is very comfortable for your dog. It features a Velcro closure on the back. Your dog steps into the harness so you do not have to pull it over the head. The waist strap is adjustable. Attention: the neck size should be measured at the base of the neck.